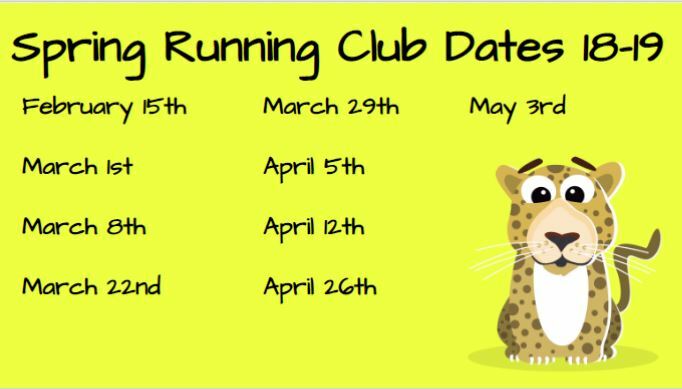 Running Club Registration is Open for the Fall session. 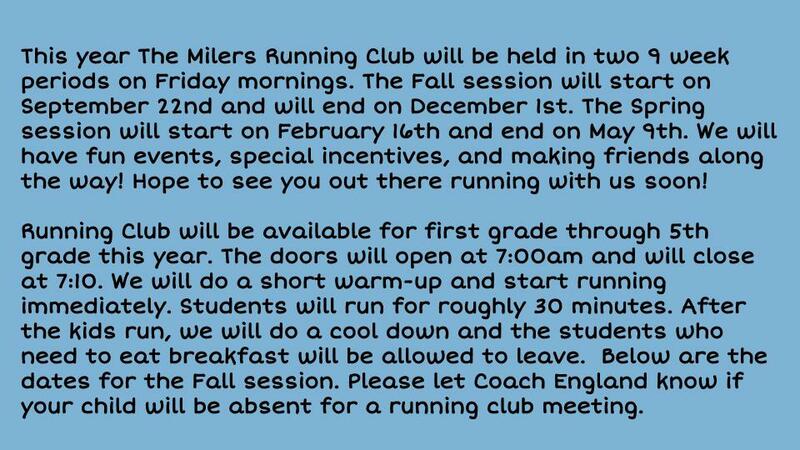 Please email Coach England if you want to register your child for the Fall. 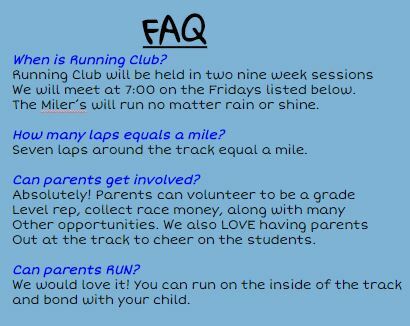 Registration will CLOSE on September 27, 2018 .